Many individuals believe that if they have healthy hair they can just choose any shampoo and conditioner treatment they want and still get great results. However in order to keep hair healthy and looking great you need to choose products that help maintain your hair's natural moisture, flexibility, smoothness, and shine. A good shampoo is designed to clean hair by removing excess oil, dirt, and styling product build-up from the scalp and hair strands. It should also add moisture back to the hair strands, boost hair's nature volume, and provide manageability and shine. When shopping for a shampoo for healthy hair you should first look for one that contains natural ingredients. Hair strands are more likely to absorb natural ingredients, plus these additives are less likely to irritate the skin of the scalp. Second, you should look for a product that contains the right combination of vitamins, minerals, hair proteins, and conditioning agents. Shampoos formulated for healthy hair, those with labels that contain the words moisturizing, hydrating, or volumising, and those specially designed for scalp health are good bets when searching for the right combination of nutrients for normal, healthy hair. You can also get this perfect combination from shampoos sold at professional styling salons. Finally, since healthy hair does not need deep cleaning to remove excess oil, heavy hydration to prevent brittleness, or extra oils to repair damage, your best choice is to choose a mild detergent formula that only removes unwanted debris yet leaves hair's natural sebum (oil) in place. By protecting your hair's natural moisturizing system you can ensure healthy locks and prevent unwanted hair damage. Although many individuals with healthy hair do not think that they need a conditioner, this hair care step is actually very important to maintaining luxurious locks and flexible hair strands. Heat tools, excessive styling, and environmental conditions can all strip otherwise healthy hair of its natural moisture content. A good conditioner will replace the lost hydration and help hair hold onto moisture. When shopping for a healthy hair conditioner look for light formulations that will not weigh hair strands down, labels that include the words moisturizing, hydrating, or all natural, and products that are formulated specially for normal or healthy hair. These types of conditioners will provide just enough moisture and lubrication to keep the strands manageable, hydrated, and soft, without robbing the hair of its shine or volume. Since healthy hair is balanced hair you should avoid extra creamy shampoos and conditioners that add too much oil to the hair strands, alcohol-containing shampoos or conditioners that can dry out hair, and products with a lot of extras that can weigh down hair, clog pores, and cause loss of volume and shine. 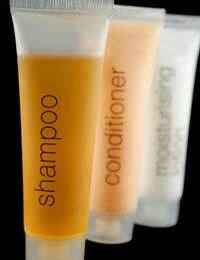 You should also avoid any shampoos that contain lather boosters, such as sodium lauryl sulfate. This additive can strip away too much of the hair's natural oil and even irritate the skin. Finally, avoid using clarifying shampoos more than once a week since the detergents in these products completely strip the hair strands of much needed hydration as they remove excess dirt, grime, oil, and styling product build up.